6 dark wood-handled cheese forks. 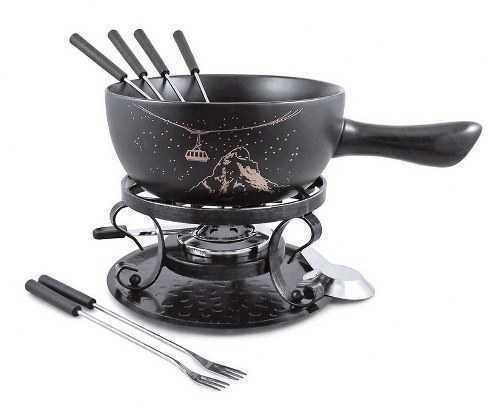 Fondue pot and fondue burner can be also purchased separately. Service Area: New Glarus, Madison, Janesville, Sun Prairie, Loves Park, Whitewater, Baraboo, Roscoe, Oregon WI, Platteville, De Forest and surrounding communities.